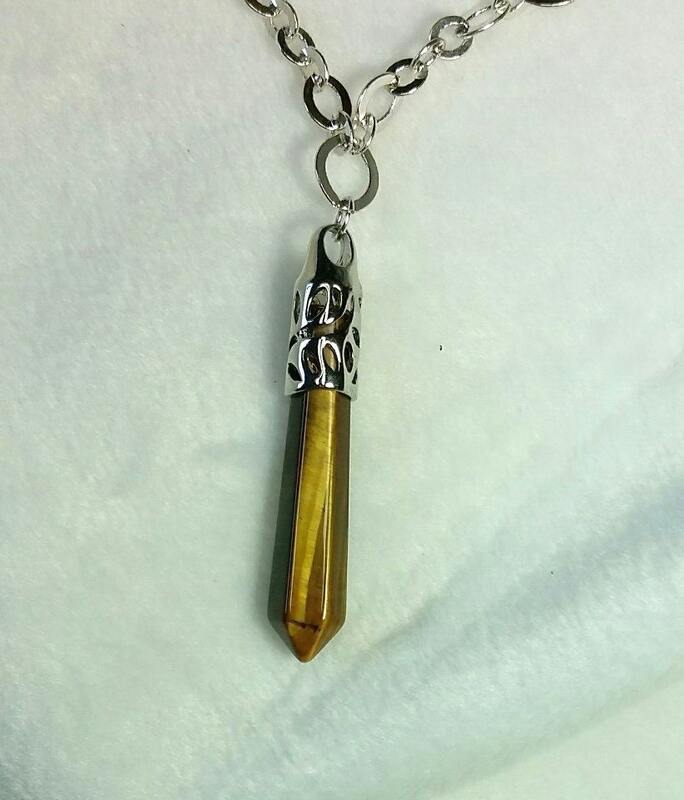 Tiger's eye is an iridescent stone with warm shades of browns and yellows that really catches the eye! 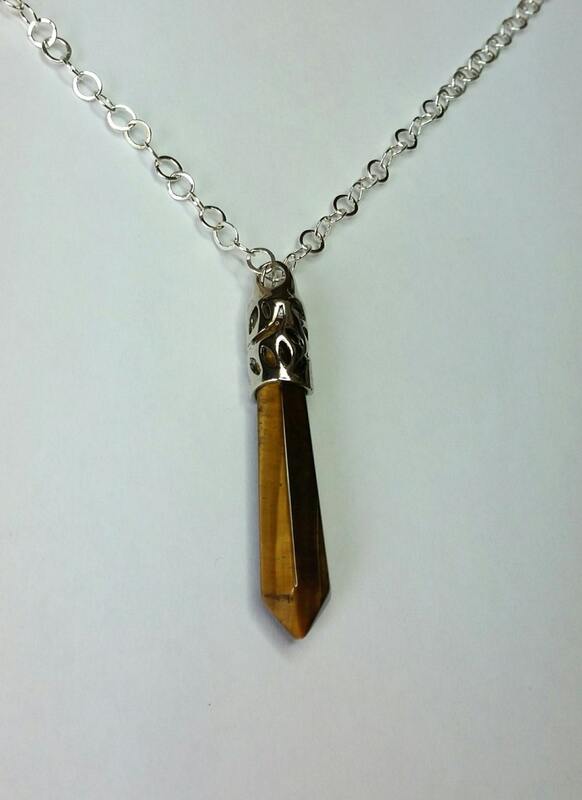 This powerful stone with the characteristics of a tiger is said to aid in creating harmony and balance, reduce anxiety, and stimulate decisiveness. 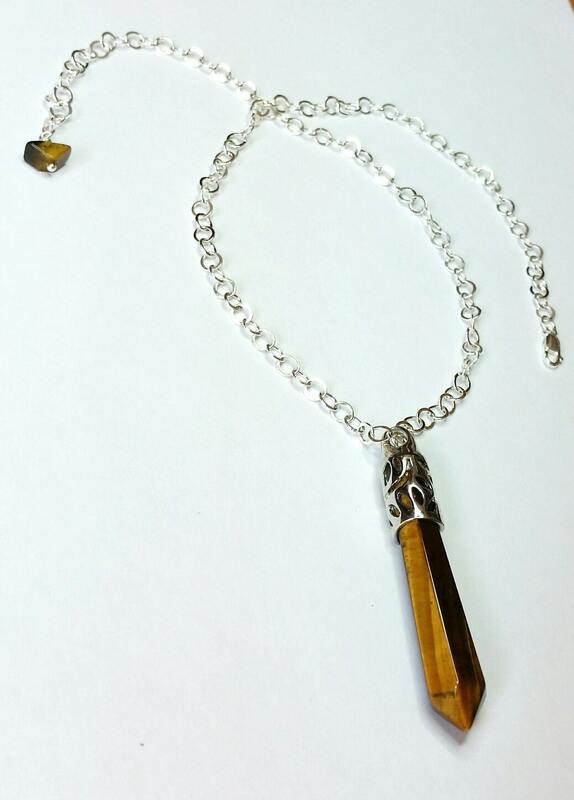 The bright silver plated chain from which the tiger's eye is suspended is composed of flat ovals approx. 4 mm each. The pendant itself is approx. 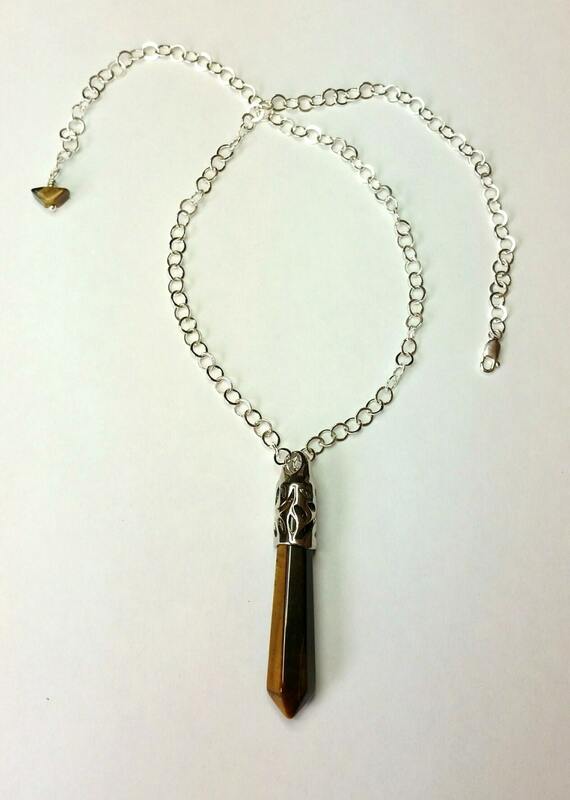 2.5 inches (6.35 cm) in height and the chain is approx. 19.5 inches (49.53 cm) in length attaching with a spring clasp. 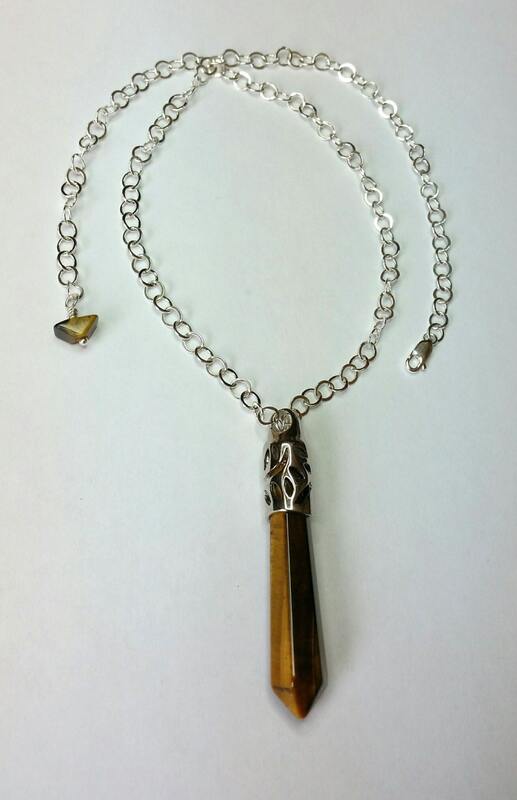 This handsome piece makes a subtle yet powerful statement!